Taking place from the 2nd to the 4th of June 2017, with 5 plenary sessions and 4 simultaneous special sessions, Shangri-La Dialogue 2017 discussed and proposed important directions for regional security. This year, the Dialogue attracted a large number of participants, among whom Vietnam is always an active one. The 16th Asia Security Summit, also known as Shangri-La Dialogue 2017, took place against the backdrop of complicated and unpredictable developments worldwide and regionally, such as populism, terrorist attacks, Korean peninsula tensions and rivalry between major powers. Thus, its topics focused on the Korean Peninsula, the East Sea, terrorist threats (especially in the Southeast Asia) and cyber security threats, but first and foremost was how to maintain a rules-based regional order. Prime Minister of Australia Malcolm Turnbull, in his keynote address, stressed that “Maintaining the rule of law in our region, respecting the sovereignty of nations large and small, is the key to continued peace and stability”. That was the central message of Shangri-La Dialogue 2017. In agreement with that opinion, representatives from countries, such as Japan, New Zealand and Russia continued to advocate respect for international law in handling security challenges, adoption of measures to build trust as well as efforts to achieve unity among countries. Obviously, resolving regional security challenges on the basis of respect for international law was of utmost importance. It should be noted that Shangri-La Dialogue 2017 took place when the U.S. just had a new administration, thus its policy on Asia-Pacific region received attention of many countries. In the Dialogue, Washington reaffirmed its pursuit of “Pivot” policy laid down by the previous administration. Speaking in the first plenary session, the US Secretary of Defense James Mattis emphasized that “The American administration is demonstrating the priority that we place on relationships in the Asia-Pacific region, a priority region for us”; and that the US would be committed to enduringly engaging in the region, ensuring regional security, stability and prosperity, and supporting a rules-based regional order. He also stressed that the U.S. would continue to take interest in the region’s security, particularly the emerging issues, namely North Korea nuclear program, sovereignty dispute in the East Sea and the East China Sea, terrorism and other security threats. It could be seen as a quite rare move of the U.S. since President Donald Trump took office. And this has proved that the issue of regional security was taken interest in by the Dialogue, especially major powers. Concerning the North Korea’s nuclear program, representatives from countries all believed that its program had increased in both level and scale, bringing about an increasing threat to regional stability. Therefore, Shangri-La Dialogue 2017 could be considered a good opportunity for parties to discuss the ways to reduce the “heat” of Korean peninsula. A part from calls for major power’s stronger action to force North Korea to end its nuclear and ballistic missile programs, the Dialogue urged countries to bolster cooperation in dealing with the country’s nuclear program on the basis of stepping up diplomatic efforts and respecting relevant resolutions made by the UN Security Council. As for the East Sea, defence officials agreed to call for regional countries’ obedience to the law, including the Permanent Court of Arbitration Ruling on the East Sea. Many defence ministers voiced their concerns over construction of artificial islands in the East Sea and militarization of entities in international waters that were destroying the region’s stability. Moreover, defence ministers of France, Australia, and New Zealand underlined respect for and compliance with the United Nations Convention on the Law of the Sea 1982 (UNCLOS 1982), while objecting to unilateralism and exceptionalism. To settle disputes in the East Sea, the Dialogue agreed that there should be: (1) continued maintenance of political presence as well as diplomatic and legal efforts to resolve disputes; (2) strong support of a rules-based order; (3) respect for free navigation and protection of open trade routes under the legal framework of UNCLOS 1982. Besides, parties must agree to handle territory and sea disputes by peaceful means and back the Code of Conduct (COC) in the East Sea. It was thought in the Dialogue that all disputes in seas worldwide were caused by history or differences in the application of international law among countries. It thus could be said that there exist different disputes in the East Sea and the East China Sea. That requires China, a party to the dispute with other countries and the Association of Southeast Asia Nations (ASEAN), to seriously conform to the Declaration of the Conduct of Parties in the East Sea (DOC) and speed up the negotiation of COC. Referring to terrorist activities, participants in the Dialogue all believed that terrorist threat was on the increase in the Southeast Asia. Therefore, security cooperation in the struggle against terrorism must be an important direction of the Asia-Pacific region. In the opening session, Prime Minister of Australia Turnbull stated that terrorist attacks in Jakarta (Indonesia) and Mindanao island (the Philippines) proved the urgency of cooperation to effectively deal with terrorist threat. In this regard, countries should prevent terrorists of other regions from coming to the Asia-Pacific region, while striving to attack and annihilate the terrorists in the area. During the Dialogue, defence officials of Australia, the U.S. and New Zealand also shared this viewpoint and committed to promoting their role in dealing with terrorist activities. Moreover, regional countries expressed their concern about security instability of the region and the world caused by the Self-Proclaimed Islamic State (IS) and its possible expansion of operation in the Southeast Asia. Pursuing the diplomatic guideline of independence, self-reliance, peace, cooperation and development, and a foreign policy characterized by openness, diversification and multilateralization of relations in the spirit of being a friend, a reliable partner and a responsible member of international community, at Shangri-La Dialogue 2017, Vietnam Delegation took part in simultaneous special sessions and clearly mentioned its stance on the region’s security challenges. Regarding nuclear issue, Vietnam advocated denuclearization of the Korean peninsula and compliance with the UN Security Council’s resolutions. 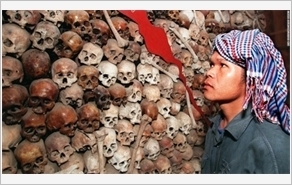 This is a consistent policy of Vietnam’s Government. Vietnam wishes that relevant parties would work out effective, basic, long-term and short-term solutions in order to ease tension and prevent disasters in the region. In regard to the East Sea situation, Vietnam stressed that there should be practical measures to manage and effectively resolve conflicts. It believed that one of the measures to prevent conflict was that ASEAN and China would establish and operate a diplomatic hot line, settle incidents in the sea practically and effectively, and especially reach an agreement on COC soon. Also, countries should strengthen cooperation on less sensitive maritime fields, such as research, environmental protection, natural disaster prevention, rescue, and fight against terrorism, piracy, human trafficking, illegal immigration, etc., thereby enhancing understanding among one another and reducing unexpected actions that could bring about misunderstanding and then lead to a conflict. 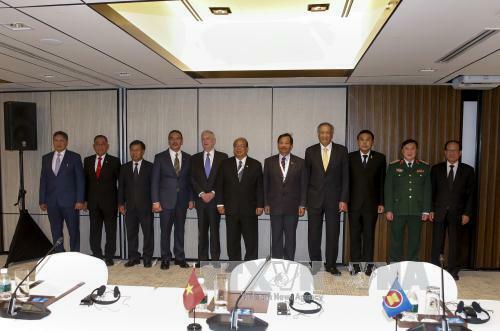 It held that security cooperation models to deal with regional challenges were ASEAN Defence Ministers Meeting (ADMM) and ASEAN Defence Ministers Meeting Plus (ADMM+) mechanisms. Vietnam has taken part in and will take part in those mechanisms of cooperation actively. It can be affirmed that Shangri-La Dialogue 2017, on the one hand highlighted the existing challenges to regional security and sought for measures to deal with, on the other hand delivered a message about respect for sovereignty of nations and law-abiding behaviours towards all international issues. With the results gained, Shangri-La Dialogue 2017 demonstrated a vision for regional security, met the expectations of defence and security policy makers, and raised a sense of responsibility to mechanisms of security cooperation, particularly multilateral cooperation ones, with Shangri-La Dialogue as a focus. Thanks to the Dialogue, regional countries all have grounds for repelling security challenges facing Asia-Pacific region to bring peace and stability to each member state, the region and the world.